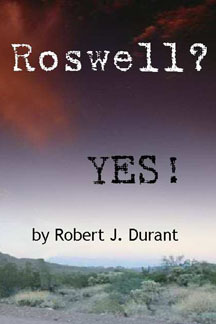 The question of what happened in Roswell, New Mexico in July of 1947 has bewildered researchers. Robert J. Durant, having investigated the controversy for over a decade, answers the question in a powerful and captivating 97-minute discussion with parapsychologist, Joanne D.S. McMahon PhD. The interview highlighted by photos and film clips is accompanied by a simulcast from the Higgins Center featuring June Marlowe and a live audience. Three audio CDs are also available. In 1882 the Society for Psychical Research (SPR) was founded in order to scientifically examine the influences of one mind upon another without the intervention of known physical causes-phenomena we would now refer to as paranormal or psychic. One of the earliest activities of thee SPR was to carefully examine first-hand reports of such occurrences. These early researchers noted that many of the cases involved incidences occurring on or about the time of death or crisis. 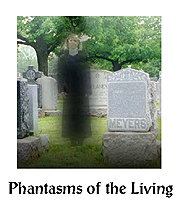 In that way they were not ghosts, per se, but apparitions of the living or as they preferred Phantasms of the Living. The 7 stories were chosen from the 702 published in 1886 in a two-volume set of the same name. 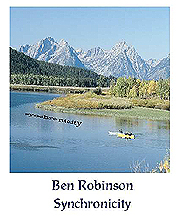 (Synchronicity-meaningful coincidence- an acausal connecting principal that brings together seemingly unrelated events) Explore the phenomena of synchronicity with magician, Ben Robinson. After ten years in the making, he explains the role of meaningful coincidence in his life through a series of thirty stories. 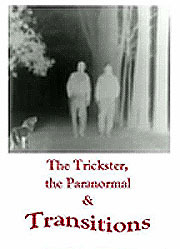 Paranormal events occur in the "betwixt and between." Ghosts are between life and death; angels and UFOs are between the heavens and the earth. Shamans, mediums, and priests are mediators between this world and the next. Paranormal events erupt during times of crisis, change, and transitions. They occur betwixt and between points of stability. Trickster gods embody these notions. All this is forgotten today. contact Metro-Video Production at 201-991-8227. VISA, MasterCard, and American Express are accepted when ordering by phone.